2012 saw many trends, newsmakers and fads, one of the biggest being Phy’s catchy Gangnam Style, which took over global airwaves and broke the all-time YouTube views record. But I suggest there was a larger force at work this year that had greater impact upon the globe. One that crept up on the planet’s citizens gradually over the last few years, patiently biding its time before unleashing a full-scale takeover. It all began innocently enough in December 2009. Some wingless birds with a cute attitude took to the air, in their never-ending mission to take-down some snarling pigs. Their beef with the swine is not entirely clear, but there’s obviously no love lost between these two warring factions. 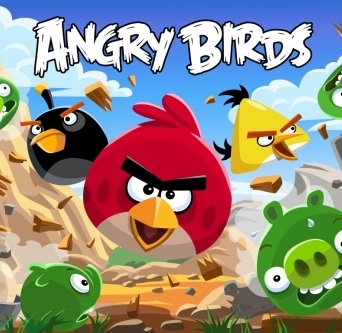 More than a billion downloads later and the Angry Birds video game is known and loved by millions, perhaps billions, around the world. What’s of greater interest is the number of people wearing Angry Birds clothing. Not just in the developed world where people have smart phones, tablets and computers, but more interestingly in the far reaches of the developing world, where most sporting these trendy threads have likely never played or seen the actual game. Global Post correspondent Patrick Winn published two pieces about this phenomenon in Myanmar and Cambodia, noting that internet penetration is as low as 1%, yet the Birds have solidly made their mark. Talk about winning the hearts and minds of local communities! During 2012 I witnessed the assault first-hand. From slums in Mumbai, to rural backwaters of Cambodia, hilltribe communities in northern Thailand, and along the Mekong River in Laos, one thing was consistent: people were sporting Angry Birds gear. Some obviously knew what the Birds were when I inquired, while a vast majority simply giggled and I’m guessing thought they were nothing more than some cute cartoon characters that are cool somewhere in the west. Truly amazing. China’s rising economy, low cost of production there and deep penetration into neighboring markets is likely partially to credit for the rise of Angry Birds clothing but it’s still staggering how enthusiastically they’ve been embraced. Nice article Scott. I saw an original Edmonton Oiler’s jersey on a guy in Cambodia and I almost thought of making him an offer to buy it from him.